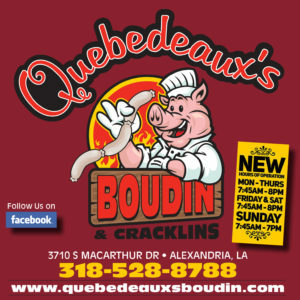 Quebedeaux’s Boudin & Cracklins is a full-service, catering company fully equipped to handle any type of catered occasion, regardless of size. No event is too large or too small. 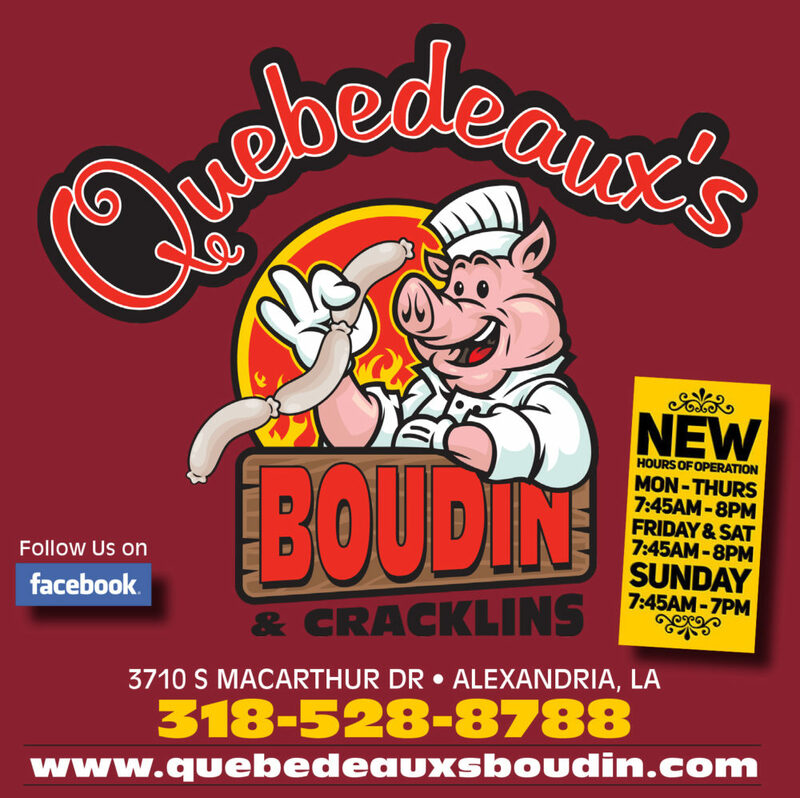 We specialize in authentic Creole Cajun cuisine, fresh boiled Crawfish and shrimp, fried seafood, Southern style barbecue and smoked meats, steak dinners, and country cooked wild game. We provide everything you need for a successful event: fabulous food, appropriate atmosphere and, of course, impeccable service. Let us plan your next event and create an experience your guests will long remember. Call Chef John Valenzuela today. He has worked along side Chef Paul Prudhomme creating some of the finest Creole Cajun Cusine in the state! Cenla’s #1 Creole Cajun Restaurant! Offering daily lunch plate specials along with our full menu! Call in orders are welcome!